I want to thank every one of you (currently) 238 TOP QUALITY HUMAN BEINGS. Actually, there's more than that - some of you have donated directly to my bank account, so thank you fullas, too! One of you, who shall remain nameless but he knows who he is *cough*Andrew Dalziel has just spent his weekend putting a whole bunch more memory in my ancient laptop so it wouldn't fall over dead before I got a chance to send you this thank you email. 'My strength is not the strength of one, but the strength of many.' 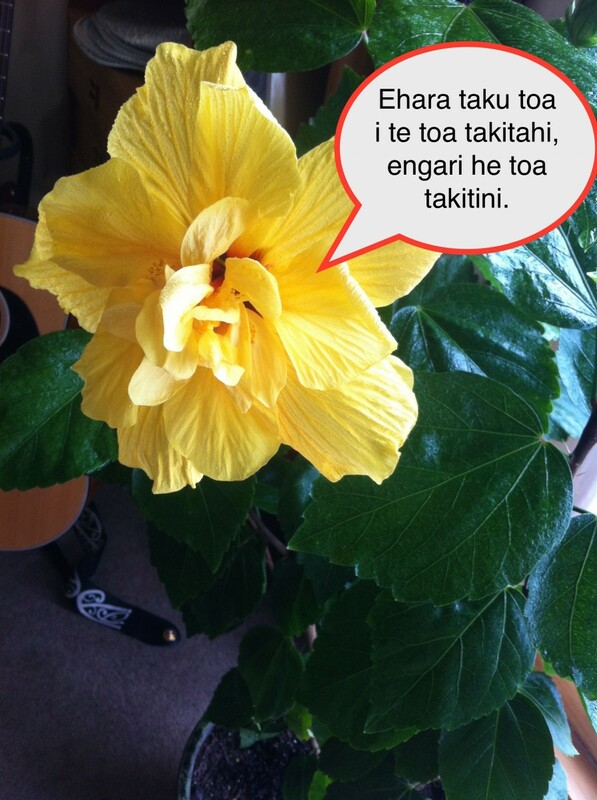 And wow, a reo-talking hibiscus. And now only another 31 donors to break the Boosted record of 269!! PS: This is it - the very last cute baby pic I have. Just as well the campaign's coming to an end. Phew. Older sister in support in this one. Sponsored by Para.